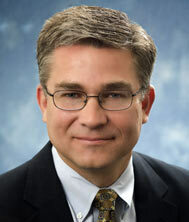 Mr. Konieczny has practiced intellectual property law in the Philadelphia region for over 24 years. He has extensive and comprehensive experience in every aspect of intellectual property law including procuring U.S. and foreign patents, copyrights and trademarks, and litigating intellectual property rights in federal court. Prior to co-founding Ryder, Mazzeo and Konieczny, Mr. Konieczny was a partner in the Philadelphia area’s oldest intellectual property law firm. He was admitted to the bar of the Commonwealth of Pennsylvania in 1990 and admitted to practice before the U.S. Patent & Trademark Office (USPTO) in 1991. Mr. Konieczny has litigated patent and trademark disputes throughout the U.S. for a wide variety of clients and technologies. In addition to the Eastern District of Pennsylvania, Mr. Konieczny has prosecuted and defended intellectual property cases by special admission in the Federal District Courts in California, Iowa, Illinois, Indiana, New Jersey, New York, and Maryland. The subject matter involved in those patent infringement matters involved both simple technology, such as woodworking pocket-hole jigs, and complex technology, such as volume Bragg grating (holographic) elements. Mr. Konieczny has particular expertise prosecuting and defending motions for temporary restraining orders and preliminary injunctions. Mr. Konieczny also prosecutes patents before the USPTO and works with the Firm’s network of foreign associates to procure counterpart foreign patent protection. Since 1990, Mr. Konieczny has drafted and prosecuted hundreds of patents on behalf of inventors covering a wide variety of mechanical, chemical, composites, software, Internet, and electrical arts. He also advises clients and prepares opinions regarding patentability of new inventions and infringement of existing patents. Mr. Konieczny maintains a heavy docket of trademark prosecution and licensing matters as well. He has prosecuted hundreds of trademarks before the USPTO, prosecuted trademark appeals before the Trademark Trial & Appeal Board (TTAB), and prosecuted and defended opposition and cancellation proceedings before the TTAB.